I thoroughly enjoyed this thriller. 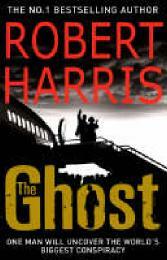 Robert Harris's ability to take some historic facts (extraordinary rendition flights landed in the UK in 2002, admitted by the Foreign Secretary David Milliband 22 Feb 2008), build credible characters (ex British prime-minister and wife) and weave a story around them is undiminished. The humour of the narrator provides delightful contrasts to the seriousness of the story as it develops. Given the recent history of the Anglo-American 'special relationship' and the support given to the American administration in the Iraq war the story relies on the reader's mistrust of the real former British prime minister. I suspect the majority of the British politically aware would find the story believable. The insights to ghost-writing provides a good reason for the narrator's involvement, although I felt one or two scenes reminded me that the book was fiction. (Being alone with the ex-premiers wife for example) I'm not sure I wanted such reminders as they momentarily led me to suspend my belief in the story! The description of a British plainclothes copper was well observed with a touch of humour. 'His big sullen face was brick coloured in the cold, his ears terracotta, not a policeman happy with his lot. He looks as if he had been assigned to guard one of the Queen's granddaughters in the Caribbean for a fortnight, only to find himself diverted here at the last minute.' I had to look this up in Wikipedia to check - the Queen has two granddaughters. A great read - I wanted to see what happened in the end, and I wasn't disappointed!